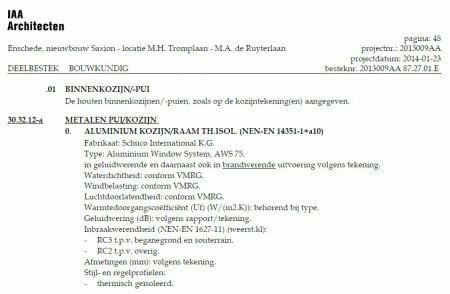 Our knowledge, skills and expertise are also available to develop projects, of which IAA Architecten is not the designer, in a high quality way. IAA Engineering can take care of the entire project, from the initial phase to delivery and aftercare. Handling a separate project phase is also part of our service. Naturally, the aesthetic principles of a design are never overlooked. This is our added value, as we are closely linked to an architectural firm. Below is an overview of our available services and examples of projects, plus the associated work activities, that we as IAA Engineering have realised. Together with other advisors, we integrally develop a design into a 3D building model. The experienced structural engineers of IAA Engineering, together with other advisors, integrally develop the designs into a 3D building model, from preliminary design to execution ready. They do this with substantial knowledge of the technical elaboration and its financial consequences. They can also produce building models for use in the management phase. For each construction phase, we determine what information a building model should generate in advance. 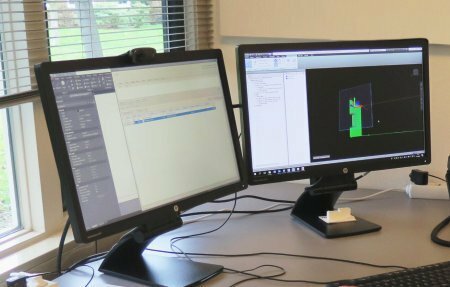 Our structural engineers integrally develop projects into a 3D Building Information Model (BIM) with integrated models of the consultant constructions and consultant installation. This results in a coordination model that is checked for errors from all angles before the start of construction. 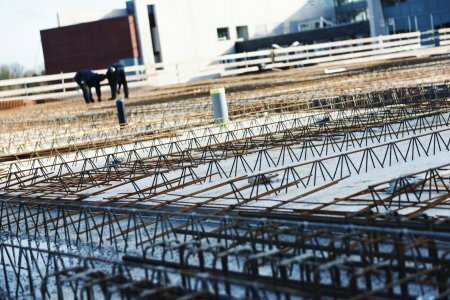 Aspect models of suppliers are checked on the basis of this building model: this intensive cooperation results in a shorter lead time and a reduction of failure costs. For each phase, the kind of information a building model must generate is determined in advance, possibly together with other project partners. The corresponding levels of detail are laid down in so-called output specifications, entirely in line with the applicable standards and quality standard ISO9001. 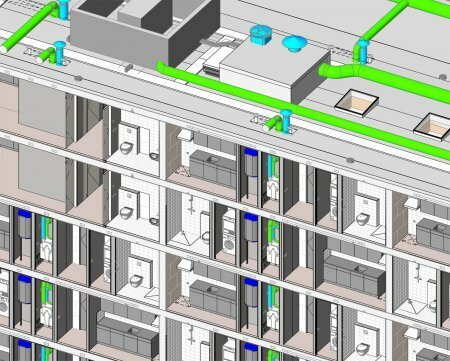 The 3D Building Information Model is not only used to achieve a streamlined construction, but can also be used to manage the building itself. Based on information from the manager, a specification can be drawn up to provide the model with the correct information for the management software. If so desired, we can incorporate changes that take place in the utilisation phase into the 3D building model in order to keep the building file up to date. For substantive project monitoring, we check the building model, the aspect models and, where necessary, the working drawings. To be able to monitor the content of a project, checks of the building model, aspect models and where required, the working drawings, are necessary. We do this for the models and drawings of designing parties as well as those of (sub)contractors and suppliers. Always with respect for the design, but also to keep a grip on the technical and aesthetic quality. For each construction phase, we can make cost estimates to get and keep a grip on costs and feasibility. 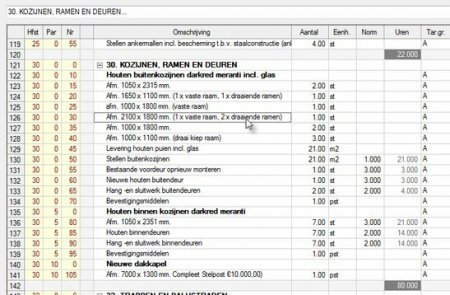 Based on our own experience and an extensive database of example projects, we can make cost estimates in each construction phase to get and keep a grip on costs and feasibility. From the sketch design, through the preliminary design and final design, up to and including a check in the technical design phase. We work according to the STABU2 system as well as the STABU Construction wide solution. IAA Engineering can make technical descriptions for the preliminary and final design. Within these, the design can traditionally be described by work type, but also at the element level in connection with the 3D-BIM model. For the final design and technical design phases, we produce specifications in the STABU2 system and, if so desired, also according to the new STABU Construction wide solution. In addition, we offer support for the functional specification at the element level of a 3D building model, so that the performance specifications can be tested in a project process. We guide other disciplines such as construction, installation, infrastructure, interior, etc. and carry out broad line checks. We work from the content of the project and this way, monitor the broad lines on the basis of time, money and quality. We do this with respect for the design and adequately address possible implementation problems. We guide other disciplines such as construction, installation, infrastructure, interior, etc. and carry out broad line checks. 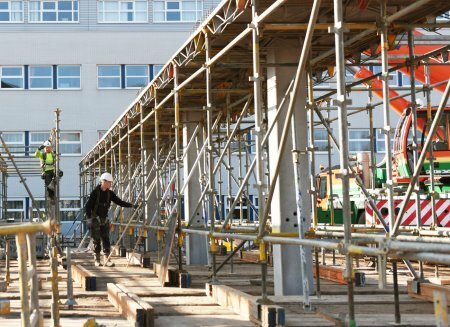 We provide structural supervision, quality advice and inspection for all construction processes. IAA Engineering can provide structural supervision, quality advice and inspection for all construction processes, in which the following applies: governing is looking ahead. Instead of judging what has ultimately been realised in hindsight, we sit down with the parties involved beforehand, to agree on how a certain part should be approached and what the realisable end result should be. We supervise the execution process and are the point of contact for the client, implementing parties, users and the government, with the aim of relieving the client of his 'burdens'. In this, trust is the keyword. In terms of content, we monitor the quality and progress and, if so desired, the finances. From an architectural point of view, we have a signalling and advisory role in relation to fire prevention, constructions, installations and safety in the construction process.